As beauty balm (BB) creams continue to be all the rage I have stood quietly on the sidelines, testing products and trying to find my MVP. 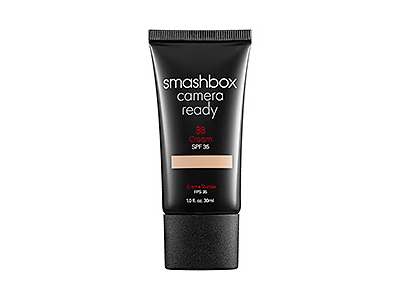 I tested brands like Estee Lauder, Dr. Jart, etc., and finally landed on Smashbox Camera Ready BB Cream. Like all good BB creams should, Smashbox’s contender packs primer, moisturizer and foundation into one little tube, boasting broad spectrum SPF 35. Having semi-dry skin and testing it out in the winter, I do have to use extra moisturizer – but I’m banking on Camera Ready being the only product I need for my summer skin. I’m usually a light/medium in most foundations, and for this product I use the “light” tone. It’s important to note that BB creams are intended for light coverage, so you’ll likely still need concealer for any blemishes. I still use The Balm’s Time Balm concealer under my eyes. I was very content and ready to tell the world that I’d found my BB, when my best friend informed me that she found its drugstore equivalent. Thrifty makeup minimalists, rejoice! 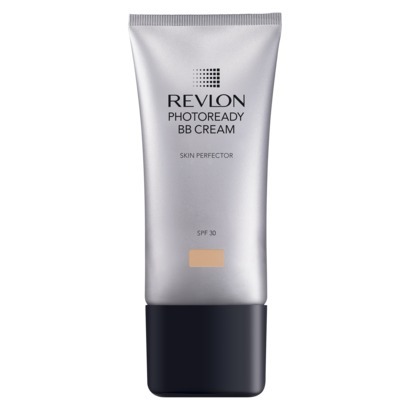 Revlon PhotoReady BB Cream Skin Perfector, clearly made to compete with Smashbox’s BB elixir, tested equal, and for a fraction of the price ($11 compared to $39)! My color is “light/medium” in the Revlon version. This is a huge breakthrough for me, since I’ve always been of the mindset that name brand beauty products are always worth the extra money spent. The only notable difference is that Revlon is SPF 30 rather than 35. Since I already had Smashbox, I keep that one in my makeup case at home, and the Revlon in my purse for on-the-go touch ups. Do you have a favorite BB cream?